Each year we proceed to celebrate Black history month when the month of February comes around. Is that the only time we should focus on the history of the Black Bermudian or Bermuda in general. In my estimation I think history demands to be remembered at all times. We constantly say Bermudians need to know their history I have no doubt about that if we only concentrate on it one month out of every year. Here at this time I’m going to list some of Bermuda’s trailblazers because I feel we should never forget them and their contributions to us and our Bermuda. Let us first remember the slaves of our past who even in their struggles set the bar high. Sarah Sally Bassett, who was she really? First a child born like any other putting her trust in the parents who birth her. Later a teenager who because she was born into slavery became used and abused. Sarah (Sally) was a mother, Grandmother. When you learn Sally’s story is it any wonder she became bitter and overly protective of her family especially her granddaughter Becky. Was the fate of the final day of Sally’s life to be burned at the stake justice? Sarah we hold your memory high. Thanks to those who had the foresight to honour her memory with a statue. Lets follow through with Mary Prince the first slave to have her own narrative written and Minna Love who even after doing a good deed was severely punished, is that where the saying came from (no good deed goes unpunished?) Hetty Ingham , Jeffery, Jemmy Darrell, Edward Frazer and many others. These were our first heroes and trailblazers. 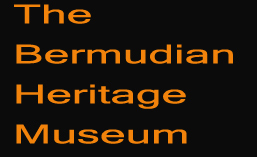 Learn more about their stories at the Bermudian Heritage Museum on York and water street in St. Georges. Follow now to Julian Tucker who along with several lodge brothers lead the charge to help the 78 slaves of the Enterprize gain their freedom. To the many lodgemen like Stuart Battersbee founder of the Oddfellows Order, Peter Ogden founder of the Grand United Order wise persons who had the fore sight to organize Friendly Societies. 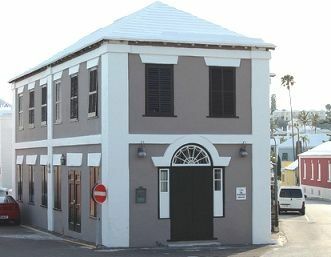 This is where black people of Bermuda received assistance with schooling, both general and spiritual. This is where many of our performers received their first taste of performing on stage in a black theatre the Colonial Opera House. This is where they were taught character building and charitable works. This became another sturdy tree of our roots which to date many of us do not acknowledge. I ask the question why? Are we that ashamed of our roots? By doing so, you do an injustice to them, yourselves and your history. We often mention Dr. E F. Gordon and his good works, Dame Marjorie Bean, Dame Lois Browne Evans, Dr. Pauulu Kamarkafego (Dr. Roosevelt O Browne) and well we should but let us not forget the many who helped to pave the roads ahead of them in their fields and struggled just as much to reach the mountain top. Mr. Robert Austin Wilson Organizer of the Bermuda Worker’s Association the fore runner of the B.I.U. he had the distinction of becoming its first President, with Gerald Brangman , his Vice President and William Davis elected Treasurer.This was the first real step towards organizing the workers of this country. Did women not play their roles? You bet they did; We know of the teachers the lawyers etc. yet who ever mentions our first black female Dentist Amy Darrell Williams, or our very first black pharmacist Dr. Olivia Tucker and following close in her footsteps the young Kathy Ann White. What about the women who pioneered one of the first senior homes Ida J. Smith,Bernice Manders Cann, Helena Williams and Isabel Ratteray. They were the brains behind the Matilda Smith Willams Seniors Home. Lets not for get Ruth Seaton James first black registrar, Sonia Grant first woman Councillor of the Corporation of Hamilton , Verbena Daniels first female registrar of companies, Ida j. Smith became the first fully qualified licensed black hairdresser, Gina Swainson first Bermudian to gain the title of Ms. World, Bernadette Wilson first Bermudian to be selected to dance in the follies, Margaret Hill first Miss Bermuda to win international acclaim when she won Miss Photogenic,Clarence William Robinson, Organizer and founder of Bermudian Benevolent Association overseas, Sheila Ming first international Model, Lorrita J. Tucker first black Bermudian to perform center stage at the super bowl with Up With People, Ms. Carol Simmons and Ms. Euva-lynn Lightbourne first female to be lighthouse keepers and Ms.Delores Swan first female to make chief prison officer. We have had so many that have paved the way for us that we would need mounds of space and time to record. But we as a people must make every effort to learn as much as we can about our trailblazers and never forget to remember them and the roads they paved for us.